September has been a little bit of a busy month for me, getting prepared for my return to University (third and final year! Yikes! ), catching up with friends and a lot of family events going on – I’ve barely had chance to get my head in to a book! However I powered through the first few weeks when I was still living the less frantic lifestyle my parents’ house had to offer and managed to read three and a half novels and one graphic novel. This is nowhere near as much as I’d hoped to read but I’m still on track with my end of year goals! book and discussed all the good and bad points HERE if you’re interested. 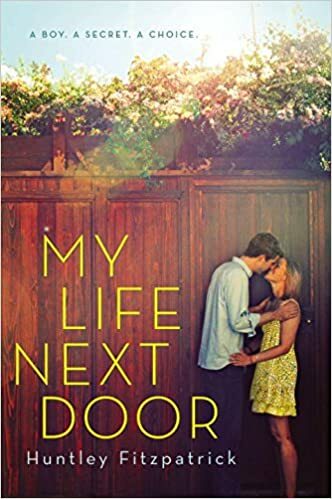 My Life Next Door is a YA contemporary novel based on the Garretts and the Reeds – two very different families living side by side. Samantha’s mother has always looked down on the loud, rambunctious family of eight living next door, therefore Sam hasn’t even introduced herself after years. One day Jase, one of the middle Garrett children, introduces himself. You can guess what happens after that. Whereas I enjoyed this book quite a bit and it certainly got more interesting after the half way mark, I think I was expecting too much going in to it. It was fun and not too soppy for a love story. If you enjoy YA contemporary books then it’s a very good summer read. 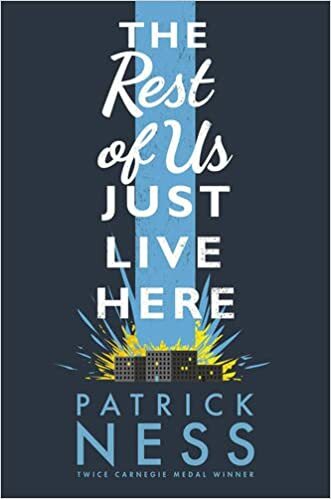 The next book that I picked up in September was The Rest of Us Just Live Here by Patrick Ness. This was quite a highly anticipated novel for me as I’ve grown to love him very quickly over summer and it didn’t disappoint one little bit. I also have a full review of The Rest of Us Just Live Here HERE if you want my full opinion. Patrick Ness manages to make a YA-sci-fi-coming of age-mental health story interesting and not too overpowering. We follow Mikey on his journey as he tries to figure out why the Indie Kids in his small town keep dying. It’s a little odd but also very captivating. Any Patrick Ness fan I guarantee will love The Rest of Us Just Live Here. 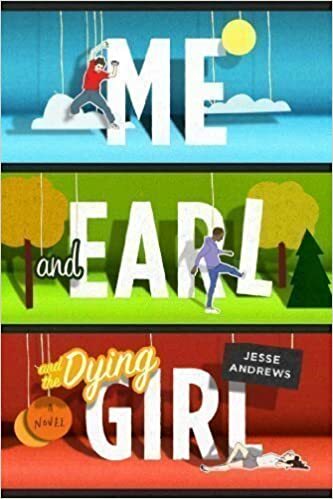 As the movie was released at the beginning of September I figured it was about time to read Me and Earl and the Dying Girl by Jesse Andrews. Me and Earl follows Greg and his film making partner Earl as they desperately try to improve the work they do alongside trying to cheer up Rachel who happens to be dying. Unlike most teenage cancer novels the story wasn’t directly about the sufferer – it was about Greg and his thoughts and feelings on his (somewhat of a) friend dying. Me and Earl was definitely a refreshing read that I enjoyed. Some of the characters annoyed a little bit, namely Earl as he is just someone that I wouldn’t ever connect with. Surprisingly it was also not as soul destroyingly sad as I imaged it to be. Overall it wasn’t my favourite read of this year but it was definitely interesting and a very good style of writing! I only read one graphic novel in September and that was The Wicked and the Divine Volu me 2: Fandemonium by Kieron Gillen. 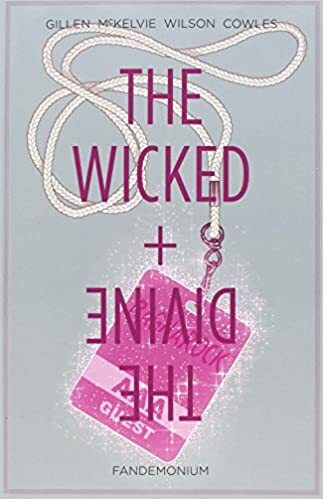 The Wicked and the Divine series is based around gods who are sent back to earth and are loved like celebrities every ninety years. After two years they are all dead. I read the first volume back in August and quite literally couldn’t wait to pick up the next one. The second volume was more exciting and a hell of a lot more shocking. I absolutely adore this graphic novel series with each character being so different from the last. It’s a very unique read. 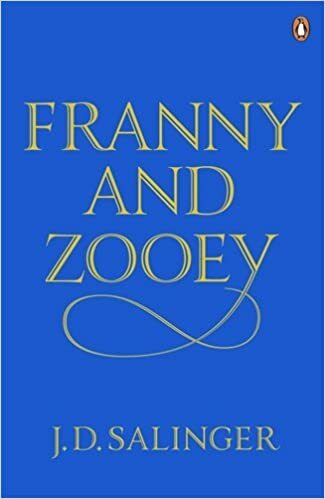 To finish September I started to read Franny and Zooey by J.D. Salinger as I thought I might want to study J.D. Salinger for my dissertation at University. The novel is split into two short stories. One based around Franny as she visits her boyfriend Lane for the Yale game. The second short story is based around her older brother Zooey and him coming to terms with his brother’s death as he tries to figure out what direction his life wants to go. I’m half way through Franny and Zooey and have taken a break as it was a little long winded for me. I completed Franny and found it to be an interesting story with a lot of atmosphere. It just seem to me that both of the short stories have not much action within them (I know I’m probably judging it to early as I haven’t actually finished it yet.) A full review will be up when I finally get round to finishing the second short story! That was everything that I managed to read in September 2015! I hoped that I’d get to a couple of more books on my list and maybe a few graphic novels but there’s always next month!